Golett in game: 4,141 Who? Important notice! Pokemon Golett is a fictional character of humans. Golett (Japanese: ???? Gobit) is a dual-type Ground/Ghost Pokémon introduced in Generation V.
It evolves into Golurk starting at level 43. Golett is a bipedal, clay Pokémon constructed in the ancient past to protect a civilization of people and Pokémon. There are two different shades of blue throughout its appearance. It has a head with a cyan-colored "fin" on top of its head, and two bewitching, yellow eyes. Around its spherical body are brown straps, which meet at a blue square with a yellow swirl in the center. It has four large stones, two on its arms and two acting as its feet. Golett burns energy inside itself in order to move. This energy causes Golett to release light through the holes near its arms and legs. However, no one has identified this energy. Golett debuted in Movie Time! Zorua in "The Legend of the Pokémon Knight"! with its Trainer, Luke. It helped its Trainer film his movies by building props, as well as being a stagehand and carrying equipment. Luke used his Golett in the semi-finals of the Battle Club Tournament against Iris's Axew. A Golett appeared in Jostling for the Junior Cup! under the ownership of Kenton. BW038 Golett Ash's Pokédex Golett, the Automaton Pokémon. It is said that Golett was instructed to protect people and Pokémon by the ancient civilization that breed it. In the Black & White chapter, a Golett was among the several Pokémon kidnapped by Team Plasma in The Case of the Missing Pokémon. It was found in a stronghold and later returned to returned to its trainer. The energy that burns inside it enables it to move, but no one has yet been able to identify this energy. These Pokémon are thought to have been breed by the science of an ancient and mysterious civilization. Ancient science fashioned this Pokémon from clay. It's been active for thousands of years. If this Pokémon is given a Ring Target, the effectiveness of Electric-type moves is 1×. Moves marked with a superscript game abbreviation can only be bred onto Golett in that game. This Pokémon learns no moves by tutoring. Golett came from somewhere with Golurk. 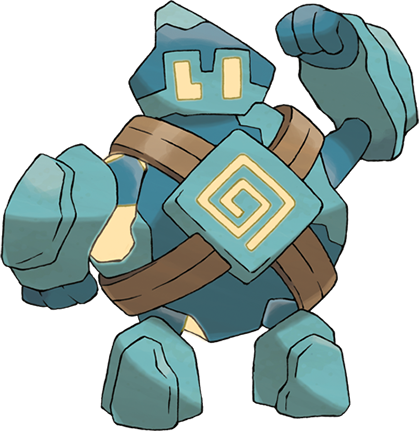 They like Golurk very much because he is powerful. Attacks sometimes deal greater damage than usual. 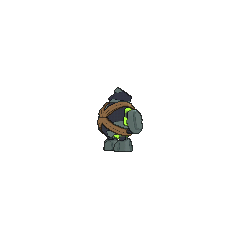 For other sprites and images, please see Golett images on the Bulbagarden Archives. According to Game Freak, Golett and its evolution were drawn by James Turner. While Golett has a 5% chance of holding the Light Clay, it cannot learn Light Screen or Reflect. 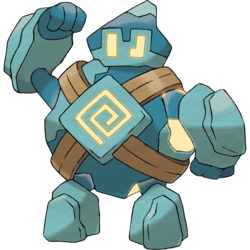 Golett appears to be based on a golem. 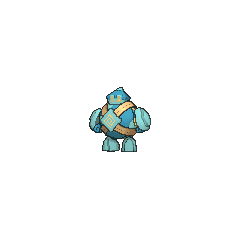 Golett is a combination of golem and lett (suffix meaning small or young). 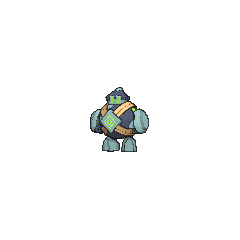 Gobit may be a combination of golem and robot or bit (small in size). It may also come from ?? kobito (small person).